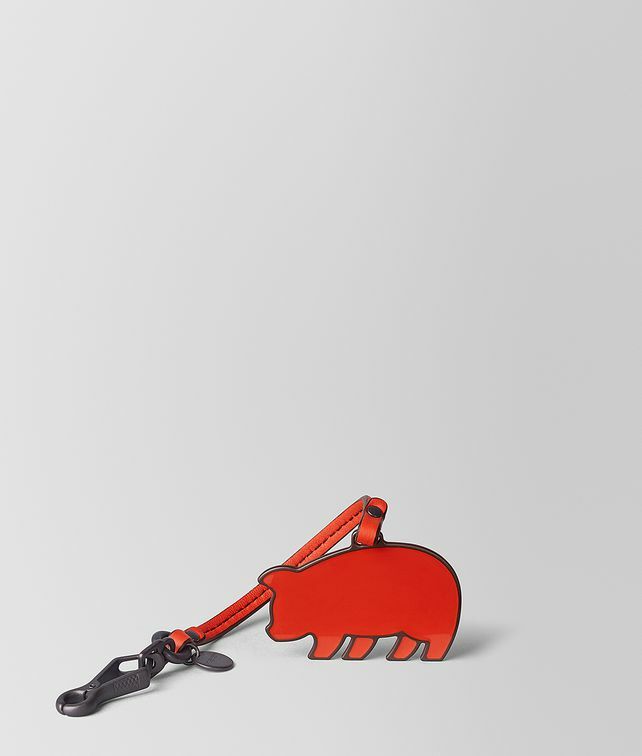 Designed in celebration of Chinese New 2019—the Year of the Pig—this playful key ring is crafted from brass and inlaid with colored enamel. It features a nappa leather strip detailed with hand-painted edges. Finished with a brunito clip and small logo tag.